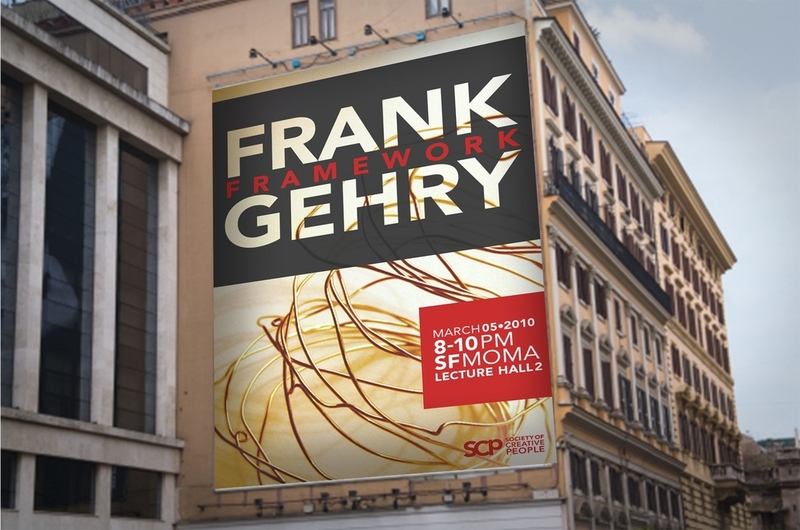 MISSION: To design a poster and print materials to inform and inspire a range of creatives to attend a lecture series by renowned contemporary architect Frank Gehry. The target audience included students and professional creatives from a range of backgrounds. Gehry gives the basic structural framework to his future structures. I wanted to capture that essence and thinking through creating my own prototypes from common materials. INSIGHTS: Ultimately students and professionals want to know how a great architect creates their work. Focusing on aspects of Gehry's creative process gives students and professionals a window into his recipe for success. I capitalized on this desire in my conceptual design. ASSUMED PERSONAS: Researcher, historian, curator, creative director, production artist, and photographer.